With so many people to meet, a humongous exhibit hall to browse, and a slew of educational and informative sessions to choose from, how do you narrow down your choices and schedule your time to make sure you get what you need from the convention? To start your list, see below for some hand-picked highlights that should provide significant takeaways. And even if you're not attending the show, several of the presenters have provided downloadable content so you can get something out of the meeting remotely. Host and moderator Sterling Hawkins, a futurist and innovator in business transformation whose work has been featured in Forbes, the New York Times, Yahoo! Finance and many other outlets. Amy Ford of the Colorado Department of Transportation, who is spearheading CDOT's groundbreaking efforts in connected and autonomous vehicle integration into traffic infrastructure. Sarah Sladek of XYZ University, who specializes in cross-generational cooperation and the recruiting and retention of young leaders in the workplace. 9:15 – 10:15 a.m. - Installation Training Procedures and Challenges: It's not enough to have the right traffic safety equipment in place; it must be installed correctly and maintained consistently. Failure to do so puts lives at risk and invites lawsuits. This session will outline how DOTs and Public Works departments can transform themselves from reactive to proactive when it comes to this vital aspect of the transportation industry. 10:30 – 11:30 a.m. – Advantages of Digital Printing for Traffic Signs: Sign shops across the industry are saving time and money by switching from manual to digital printing methods. Find out more about the advantages--and disadvantages--of digital, and how to transform your sign shop into a state-of-the-art operation. 10:30 – 11:30 a.m. – Preparing Infrastructure for Automation Levels 1-3: Everyone is talking about autonomous vehicles, but they're a long way from being road ready. Partial and conditional automation--also known as connected vehicle technology--will hit the market as soon as 2021. Will your roads be ready to take advantage of this technology? Find out more at this session. For some background on this topic, check out this Safe travels.® blog post. 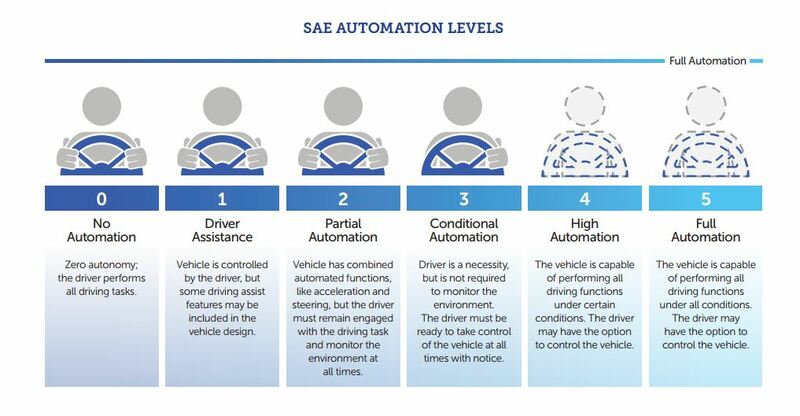 See below for brief descriptions of the five levels of vehicle automation. 7:45 – 8:45 a.m. - Traffic Control Device Innovations to Improve Pedestrian and Bicycle Safety at Signalized Intersections: As we all know, traffic lights do not guarantee accident-free intersections. And with the recent trend of increased pedestrian fatalities in the U.S., creative solutions are needed. This session will focus on specific innovations in real-world pilot locations and discuss the effectiveness of each. We've all seen convention attendees wandering the halls like zombies, bags of swag in tow and with no idea where to go. Don't be a zombie. 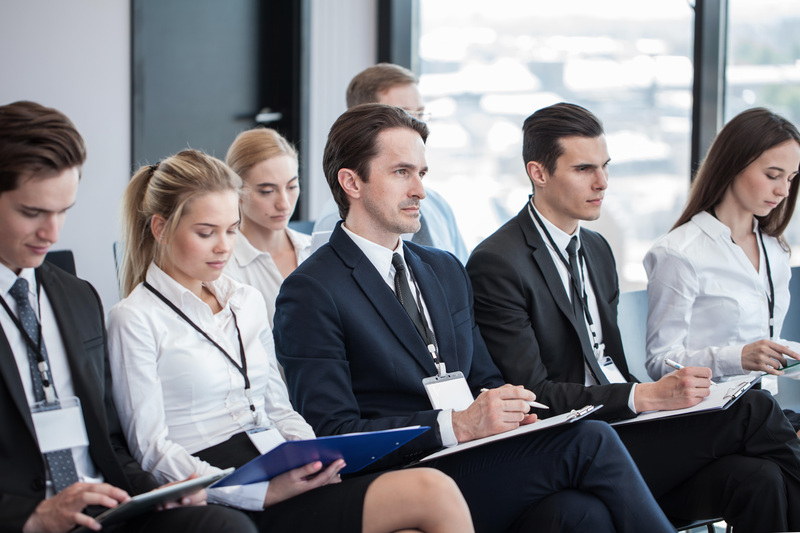 While big events like the ATSSA Annual Meeting can be overwhelming when you first walk into the convention hall and grab a thick program, having a plan will prevent that initial shock and fill your time and mind with worthwhile sessions and exciting ideas to put into practice once you return home. 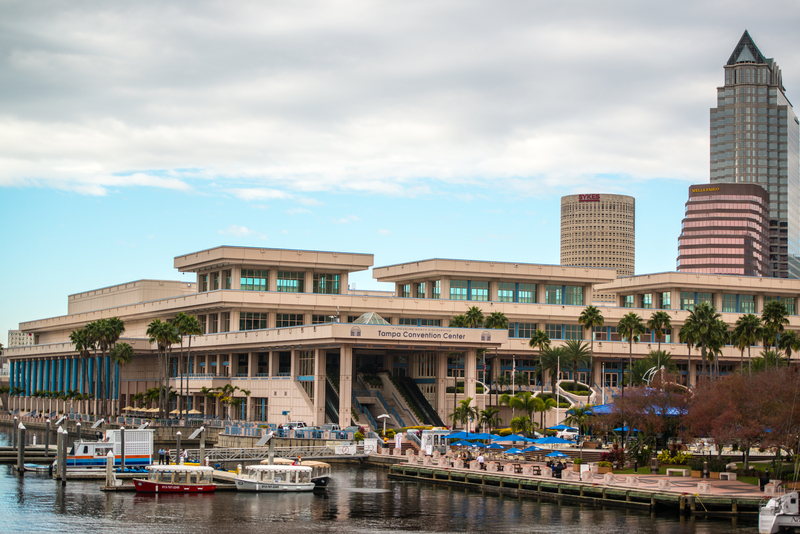 We hope this post will help get you prepared to make the most of your time in Tampa!